The Charism of FCC is the pursuit of perfect charity through a life of constant conversion and penance experiencing personally and intensely like our Founding Mothers, the love of Jesus who emptied Himself for us, and sharing daily in His poverty, humility, suffering and self- emptying . The apostolic mission of FCC is to work tirelessly for the spread of the Kingdom of God, through constant intercession before God for the whole world, taking up its Spiritual Motherhood, considering the humble loving service done to all, especially the poor and the downtrodden as our right and privilege, with total trust in the providence of God, working hard to lead all people to the love of God and bearing witness to the Gospel values, being even ready to be martyred for the sake of Jesus. Led by the Holy Spirit, we the FCC sisters strive to attain perfect love by growing in intimacy with Jesus, through Sacramental life, contemplation of the word of God, constant conversion, selfemptying love and Eucharistic life. In the Spirit of the early Christian community which accepted the Holy Trinity as its model.The FCC community should be one that grows and nurtures through self gift, loving each member as her own, praying and sharing together..
Franciscan Clarist Congregation is called to be a Good News to the world and to spread the Kingdom of God. Great importance was given to the area of Evangelization and Faith Formation from the very beginning of the Congregation. FCC Sisters from all the Provinces are prepared for Evangelization.. Inspired by the Holy Spirit who penetrates the innermost depths of every human heart the Founding Mothers of FCC have given the heritage of primary education. Hence primary schools were started in many places. Later, running Secondary Schools as well as Colleges were found .. 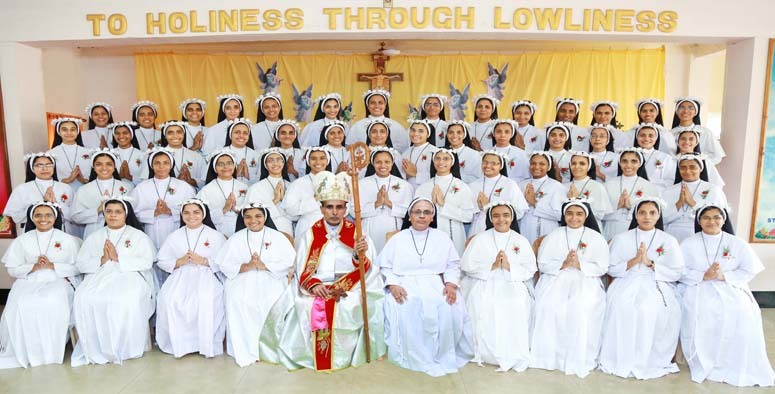 The healing ministry of Lord Jesus Christ is being continued by a good number of FCC sisters with dedicated mind and showing Christ's merciful love to the suffering humanity. They serve as doctors, nurses, and para-medical staff in hospitals, dispensaries and village health centresThe healing ministry of ..
Marginalized Love of God and love of the poor were the catchwords of the Founders of the Congregation. Social Service activities of the Franciscan Clarist Congregation are based on the Spiritual Values and Christian Principles for the welfare of the poor and the marginalized. Every Community has one sister ..
FCC is a Missionary Congregation and has inherited the mission spirit as a heritage from St. Francis of Assisi. 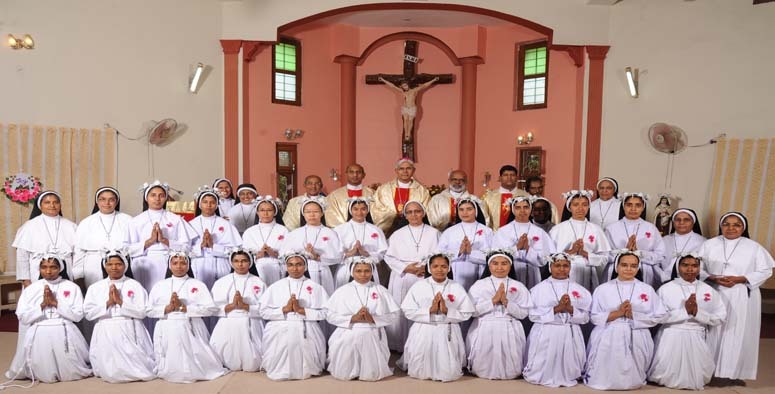 Imbibing the spirit of compassion and accepting His command, "Go throughout the whole world and preach the Gospel to all mankind", FCC started its Mission in North India in 1960 and..
FCC sisters are deeply committed with Pro- life movements at the time threat to life by abortion, mercy killing (Evuthanasia ) and suicide. 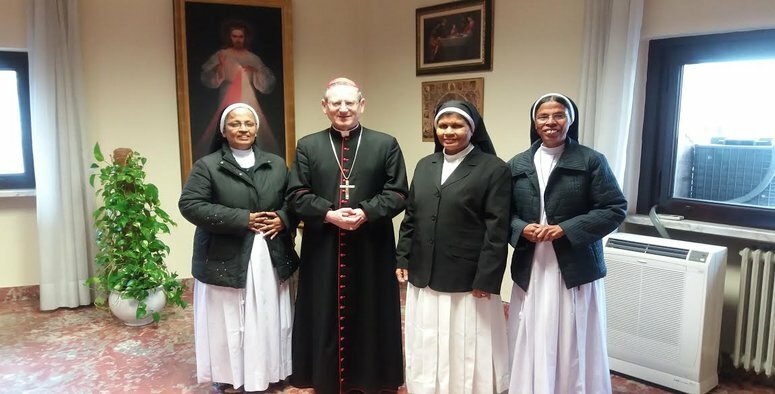 They work with diocesan team, emphasizing the value and preciousness of human life from its very beginning, through classes, seminars, films and other..